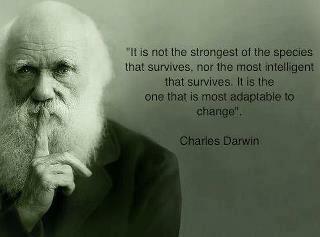 Charles Darwin studied evolution and change. I believe he was correct in stating that adaptation to change is the key to survival so it puzzles me when I see people resist it. We all need to embrace the changes in providing healthcare because the advances in technology are speeding up the evolution. Dentistry (Oral Health) has always been the step-child of medicine and the dentist was never considered a “real doctor” well, that has changed. The advancements in technology has opened the door to a new world of diagnostic capabilities. Dentistry can now detect many systemic conditions before the patient exhibits symptoms. Now think about that from the Insurance company’s view. They are fully aware that early detection and treatment is financially beneficial to them. Early detection leads to cures and that means less professional intervention. Yes, outside of your office it is all about the money. As we move into 2017, insurance will have a greater impact on our society. No matter which direction politics take us the landscape will continue to evolve at a faster and faster pace. So, how do we survive in this new environment? We embrace the change. Where will your dental practice be in 3 years? How about 5? I can tell you that if you are still around in 10 years your practice will be nothing you would recognize today. In the next year the 3D printers will be functional in the dental office. Your going to scan your clinical preparations and if you use an outside lab, be able to pint out a temporary crown or appliance the minute you finish the prep. 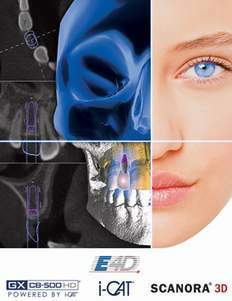 Your diagnostics will all be 3D and you will be looking deeper into the human anatomy than ever before. Radiation will be a thing of the past once the software is available to incorporate ultrasound. And then there are the specialist. The private dental office will have less places to refer to because the specialists will be working in general practices. To survive as the market shifts all clinical procedures will need to be kept in-house. In 2020 Electronic Health Records (EHR) will be required by all dental professionals. That requires updating software and a plan to integrate digital components and solutions. Saying you have digital radiography is not enough but it is a start. The standard dental practice will need to utilize new technologies to accommodate new diagnostic codes being made available by the ADA and AMA. Also, If you have not started moving towards the “paperless environment” you are working behind the curve. The State of New York already requires E-Scribe and it won’t be long before the other 49 states follow. The train has left the station and it is time to start running and jump on-board. Now lets talk about the value and “curb appeal” of a practice that is preparing for transition. Young professionals looking to establish their own practice will be more attracted to an organization that is well entrenched in the digital revolution. Today’s graduates do not know how to develop x-ray film and in the very near future they won’t be taught how to use impression materials. They learn the advanced digital formats and when entering residency programs their skills will be honed with digital imaging and diagnostics. The age of dental chairs, lights, compressor, etc. are not the value, as most sellers think. The value is in the ability to practice 21st century dentistry the way new dental professionals are taught and the amount of funds needed for additional investments required to grow a business in the fast paced healthcare revolution. Please feel free to contact me with any questions or concerns and your comments are always welcome.